Week Two of the NFL’s 2015 – 2016 season is officially under way. It kicked off Thursday night with the Chiefs falling to the Broncos in Kansas City. Sunday will be even busier with fourteen games on tap. And thanks to an announcement made by officials with ESPN, football fans now know where week two will wind down next Monday. Officials with the worldwide leader in sports announced this week that its weekly Monday Night Football broadcast, which finishes each week of the NFL season, will come live from Lucas Oil Stadium in Indianapolis, Indiana as the Colts host the Jets in an AFC showdown. The Jets will come in to Sunday’s game fresh off of a Week One win over the Cleveland Browns while the host Colts will look to get their first win of the season after falling to Buffalo 27 – 14 in Rex Ryan’s debut as the Bills’ head coach. Mike Tirico will have the call for Monday night’s game. He will be joined in the booth by his MNF co-host Jon Gruden. Lisa Salters will also be on hand for additional commentary and news. Kickoff for Monday night’s game is currently scheduled for 8:15pm ET. Ahead of Monday night’s broadcast of MNF, Chris Berman and Suzy Kolber will co-host ESPN’s Monday Night Countdown beginning at 6pm ET. Berman will be live at ESPN’s studios in Bristol, Ct alongside NFL analysts Cris Carter, Mike Ditka, Tom Jackson, and Keyshawn Johnson along with Insiders Chris Mortensen and Adam Schefter. Trent Dilfer, Ray Lewis, and Steve Young will join Suzy Kolber live from Lucas Oil Stadium. Week 3 of the 2014 NFL season wraps tonight as Geno Smith and the New York Jets host Jay Cutler and the Chicago Bears. The Jets and Bears will face off at MetLife Stadium tonight on ESPN’s Monday Night Football. Both teams have plenty to play for tonight as they both currently sit at 1 – 1 so far on the season. Kickoff is scheduled for 8:15pm ET. Mike Tirico will have the call from the booth tonight. Analyst Jon Gruden and sideline reporter Lisa Salters will also be on hand for additional commentary. 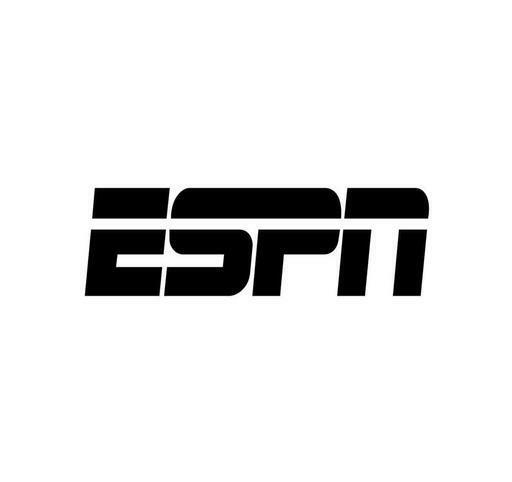 ESPN and ESPN Deportes will work together throughout the evening’s broadcast to recognize the NFL’s celebration of Hispanic Heritage Month, which continues through October 15th. Monday night’s matchup between the Bears and Jets will be preceded by ESPN’s weekly pre-game broadcast of Monday Night Countdown live at 6pm ET. Monday’s broadcast will come live from MetLife Stadium. Host Suzy Kolber will be joined by analysts Trent Dilfer, Ray Lewis, Steve Young for a recap of the week’s games and a look ahead at the week’s closer between New York and Chicago. Kolber and company will be joined from ESPN’s headquarters by studio host Chris Berman and analysts Cris Carter, Mike Ditka, Tom Jackson, and Keyshawn Johnson alongside ESPN NFL Insiders Chris Mortensen and Adam Schefter. ESPN heads have lots of reason to be happy today. The “Worldwide Leader in Sports” lived up to its name once again as it took all key male demos and adult demos Monday night. The win is thanks to ESPN’s weekly Monday Night Football broadcast. Monday night’s broadcast of the Saints’ 38-17 victory over the Dolphins helped ESPN take the night in its key demos across both cable and standard broadcast networks. The broadcast ranked a strong second overall for the night across networks and programs in total viewers. Monday night’s MNF broadcast pulled in an 8.6 US rating. That number represents an average of 9,945,000 households and 13,717,000 viewers according to Nielsen. ESPN pulled its highest numbers in a fifteen minute window between 9:30pm ET and 9:45pm ET with a 10.4 rating. In the Dolphins’ home turf of Miami, the game pulled a 13.1 rating on ESPN and a 4.0 on WSFL-CW. The numbers combine for a total rating in the Miami market of 17.1. On the other side of the ball, viewers in New Orleans helped the broadcast pull in a rating of 21.7 on ESPN and a 39.3 on the Saints’ home station, WDSU-NBC. The ratings combined for a total 61.0 rating in that market. This is a huge number for the New Orleans market as both numbers by themselves and together beat out the top 10 metered markets and the markets of competing teams. Through the fourth week of the NFL’s regular season, ESPN’s MNF broadcasts now average an 8.8 rating, which is equivalent to 10,201,000 households and 13,985,000 viewers. This ties the network’s numbers in the same period during the 2012 NFL season. Next week on ESPN’s weekly broadcast, Matt Ryan and the Atlanta Falcons face off against Geno Smith and the New York Jets. The game is scheduled to start at 8:30pm. Monday Night’s ratings win is just one more reason for ESPN staffers to be happy. That’s because ESPN also took the night Saturday night, too. ABC’s Saturday Night Football presented by Windows pulled in an average of 6,751,000 viewers and a 4.0 household rating. The night’s broadcast saw the Ohio State Buckeyes defeat the Wisconsin Badgers 31-24. The broadcast put ABC in the night’s top spot in all key male and adult demos (18-34, 18-49, and 25-54). ESPN’s Saturday night doubleheader brought the network to a solid second place finish for the night across all key male and adult demos. The University of Alabama blanked Ole Miss 25-0 in the first game of the night’s doubleheader schedule. The match pulled in an average 4,022,000 viewers and a 2.3 household rating. The second game of the night, Stanford’s 55-17 defeat of Washington State, finished with an average 1,851,000 viewers and a 1.2 household rating. ESPN2’s broadcast of Texas A&M’s 45-33 win over Arkansas on September 28th averaged 2,761000 viewers and a 1.7 household rating. That game, combined with those on ESPN and ABC , means that the networks together aired the four-most viewed college football games on Saturday night. To put things into even more perspective for viewers, ABC’s Saturday Night Football presented by Windows is averaging 6,351,000 viewers so far this season with a 3.8 household rating. That is an increase of seventeen percent and thirteen percent respectively over the network’s numbers for its broadcasts in 2012. Overall, ESPN’s Saturday Night series is growing, too. This season so far, it is averaging 3,899,000 viewers and a 2.3 household rating. Those are increases of thirty-three percent and twenty-eight percent respectively. And ESPNU’s Saturday night broadcasts are up thirty percent and thirty-three percent respectively in comparison to last year’s numbers at this time. This year so far, ESPNU’s Saturday night broadcasts are averaging 651,000 viewers and a 0.4 household rating. If these numbers aren’t enough reason to ESPN’s staffers and fans to celebrate, ESPN’s weekly Thursday night broadcast has seen significant growth over 2012, too. It is averaging 2,681,000 viewers so far this season and a 1.8 household rating. Those are increases of fifteen and thirteen percent respectively lover last year’s numbers at this time. And its overall college football game coverage is averaging 3,104,000 viewers with a 2.0 household rating. Those are increases of sixteen and twelve percent over 2012’s numbers respectively. More information on ESPN’s latest ratings wins and more is available online at http://www.espn.com and http://www.facebook.com/ESPN. ESPN has released its complete schedule for the upcoming 2013-2014 NFL season. The network kicks off a brand new season with a double header on Monday, September 9th. First up that night, the Eagles head to the nation’s capitol with a new head coach and potentially a new QB at the line. Michael Vick is still stating that he will be the team’s lead man when the regular season opens September 9th. But that could very well change between now and then. And the Redskins’ QB, Robert Griffin III will look to rebound in big fashion after a season ending injury during the 2012-2013 Season. The NFC East Divisional matchup is expected to start at 7pm EST/6pm CT.
Second up on the season’s opening night, the Texans host the San Diego Chargers, who will also have a new coach on the sidelines. Mike McCoy took the helm after Norv turner was released at the end of the Chargers’ 2012-2013 Season. The Chargers and Texans both have a lot to play for and to prove on opening night. The Texans were knocked out of the playoffs early last season, while the Chargers didn’t even make it in, having finished their season 2nd in the AFC West with a disappointing 7-9-0 record. So the night’s second game looks to have its own share of fireworks. The night’s second matchup is scheduled to start at 10:15pm EST/9:15pm CT.
Week Two of ESPN’s Monday Night Football coverage is sure to be quite the showdown as “Big Ben” Roethlisberger and the Pittsburgh Pirates make the annual trip to Cincinnati to face off against Andy Dalton and the Bengals at Paul Brown Stadium. The Bengals pulled off a shocker last season, beating their hated rivals to earn a spot in the Wildcard Round. But the team’s season would end in that round as this time the Texans would go on to knock them out of the playoffs with a 19-13 win. The season before, it was the Jets that knocked the Bengals from the playoffs. So Cincy’s hoping that the third time will be the charm, and that they’ll have fans yelling “Who Dey” even more this coming season. And it all starts with a chance for the Cats to start it all with a win over their divisional rivals. The game is scheduled to air at 8:30pm EST/7:30pm CT.
Week Three of Monday Night Football features yet another divisional matchup. Veteran QB Peyton Manning leads the Broncos as they host Matt Flynn and the Oakland Raiders on September 23rd. the game marks an NFL Record. It marks the seventeenth time that the AFC West rivals will go head to head under the Monday night lights. The Broncos come in to the 2012-2013 season with a lot of momentum despite a tough double overtime loss to the Ravens in the Divisional round of the playoffs last season. The Raiders on the other side of the line finished a miserable 4-12-0 last season, ending up 3rd in the AFC West. This game is scheduled to air at 8:30pm EST/7:30pm CT, as with the previous week’s game. The remaining Monday Night Football games look to be just as impressive as those that fill the season’s first month. A full rundown of ESPN’s Monday Night Football schedule is available below. ESPN’s countdown to the Superbowl continues Wednesday with even more coverage live from New Orleans. Mike and Mike start things off once again from 6-10am EST/5-9am CT. The guys welcome a load of new guests on this pre-Superbowl hump day starting with former Dallas Cowboy/Fox analyst Daryl Johnston at 6:30/5:30 CT. Rising star and Seahawks QB Russell Wilson will join the guys next at 8/7 CT. Also joining the show live will be NFL Hall of Famer Anthony Munoz at 8:15/7:15 CT. The show’s last hour and a half will see former Ravens coach and FOX analyst Brian Billick, ESPN analysts Cris Carter and Mark Schlereth and former Jets GM Mike Tannenbaum. Audiences that can’t be there in person can tune in live on their local ESPN Radio affiliate and on TV on ESPN2. Hannah Storm takes over at 9/8 CT on SportsCenter. She’ll be joined by analysts Ron Jaworski, Merril Hoge, and Jerry Rice. Guests scheduled for the show Wednesday include: retired Cowboys Fullback Daryl Johnston, Colts kicker Adam Vinatieri, and the Saints’ very own Drew Breese. That’s all from 9/8 CT – 3/2 CT on ESPN. Colin Cowherd will take audiences into the afternoon hours on The Herd with Colin Cowherd. Colin will be on the air from 10am/9am CT – 1pm/12pm CT. Drew Breese will be making his way to Colin’s show for those that missed him on SportsCenter as will Colts Kicker Adam Vinatieri. Also joining the lineup will be ESPN analyst Trent Dilfer. Fans can check it all out on their local ESPN Radio affiliate and onTV on ESPNU. The next three hours will be taken over by SVP and Rusillo. Scott and Ryen welcome Steelers Defensive End Brett Keisel, Ron Jaworski, Jacksonville Jaguars Running Back Maurice Jones-Drew, and Giants Offensive Linesman David Diehl. Fans can catch all the action live from 1/12 CT – 4/3 CT on ESPN Radio affiliates across the nation and on TV on ESPNNEWS. It’s just one option that fans have in the early hours of the afternoon. Fans can also tune in to ESPN from 3/2 CT – 4/3 CT for a SportsCenter special presented by Little Caesars pizza hosted by Mike Tirico. Mike will be joined by analysts Trent Dilfer, Herm Edwards and Tom Jackson. Next up as the afternoon passes is NFL Live from 4/3 CT – 5/4 CT on ESPN. Host Trey Wingo will be joined by analysts Ron Jaworski and Mark Shclereth as the trio talks up Sunday’s big game. Also from 4/3 CT – 5/4 CT is SportsNation on ESPN2. Hosts Charissa Thompson and Marcellus Wiley welcome guests Greg McElroy (NY Jets QB) and NY Giants Tight End David Diehl. Analyst Herm Edwards will also join the days’ lineup. As the sun starts to set for the day, the action doesn’t let up on the ESPN family of networks. Hosts Suzy Kolber and Chris Mortensen will be joined by analysts Trent Dilfer and Tom Jackson on ESPN2 on NFL 32 from 5/4 CT – 6/5 CT. That is followed by another edition of SportsCenter from 6/5 CT – 7/6 CT on ESPN. Hispanic audiences will also get a dose of football week frenzy with an NFL Semanal Special from 8/7 CT – 9/8 CT on ESPN Dos. It will also air at 9:30/8:30 CT and 12am/11pm CT on Latin North. Rounding out the day’s coverage is one more edition of SportsCenter on ESPN from 9/8 CT – 12am/11pm CT. Host Stuart Scott will be joined by analysts Cris Carter and Tedy Bruschi. It all starts again Thursday morning with another new edition of Mike and Mike on ESPN Radio and on TV on ESPN. Fans are encouraged to come and join ESPN’s hosts as each show will be open for public viewing.